We have so much to be thankful for. 2017 was an interesting year and the treasures for us have been the people we have met this year, the relationships we have been fortunate to hold and acquiring our new family member: TIMBALERO. We are blessed and grateful for all our friends, family and an abundant year of auld lang syne*. Our travel-school takes a winter break on the same schedule as most regular schools. 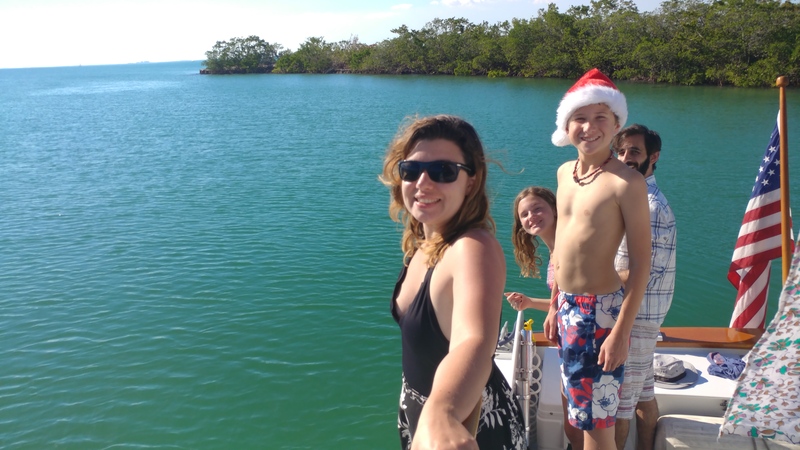 So we filled our days around the holidays with plenty of action and quality family outings… also we had a boat to learn. We are all getting used to our new chores and docking, anchoring, navigating and provisioning require everyone’s attention and help. 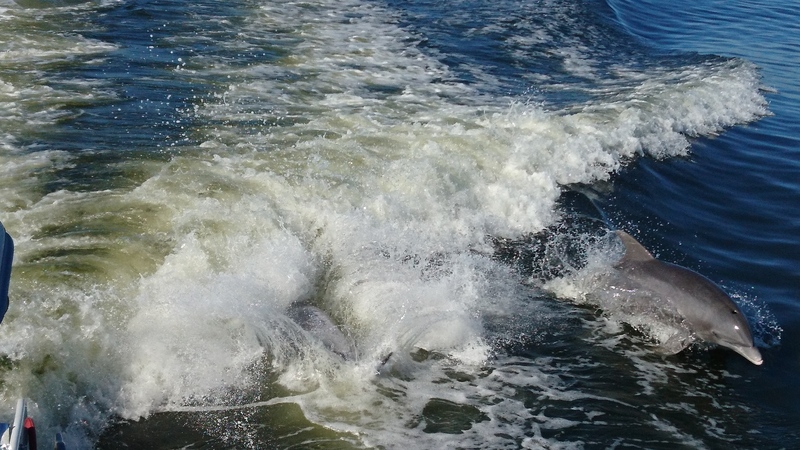 12.20 Dolphins playing in our wake as we cruised south – We consider happy dolphins a good omen. 12.21 We baked our first birthday cake (Happy 14th Sophia!) in our new galley – Chocolate with berries and Vanilla ice cream. 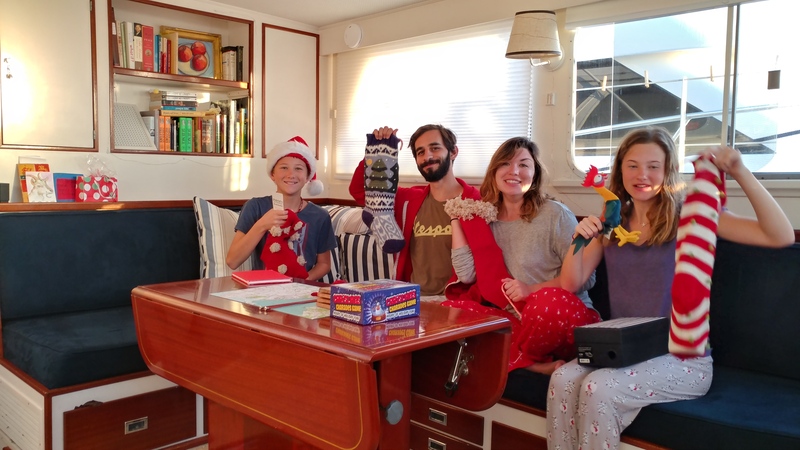 12.25 Christmas was SO MUCH FUN with Sydney and Dan onboard. 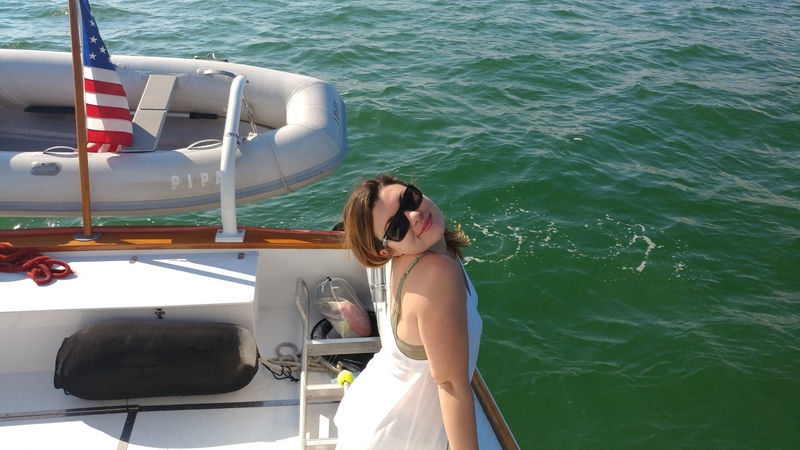 We stretched our time with them cruising south Florida for ten amazing, fun, easy winter days. 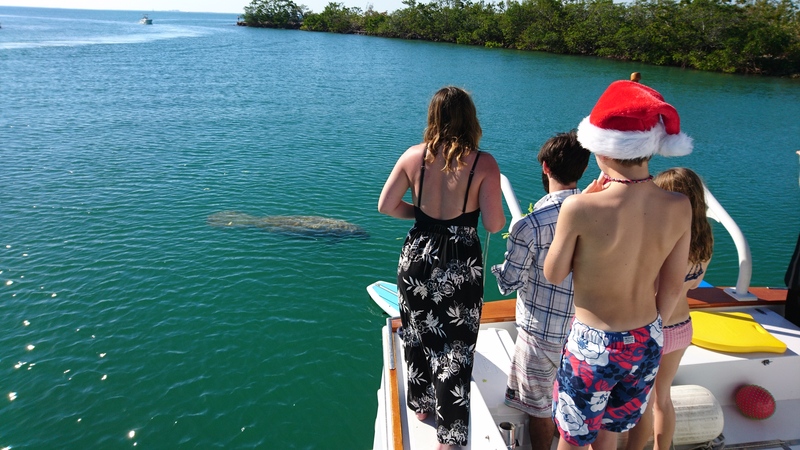 Lucky are those, visited by a South Pole manatee (we named him Edwin). 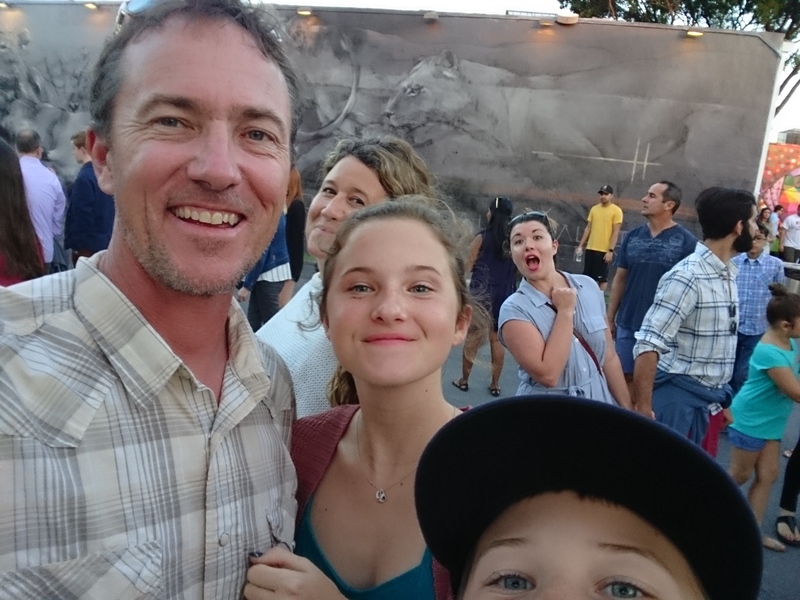 12.26 Fun field trip: Miami has such a great art scene – we spent a day onshore at Wynwood Walls to revive our love of modern art – inspiring! 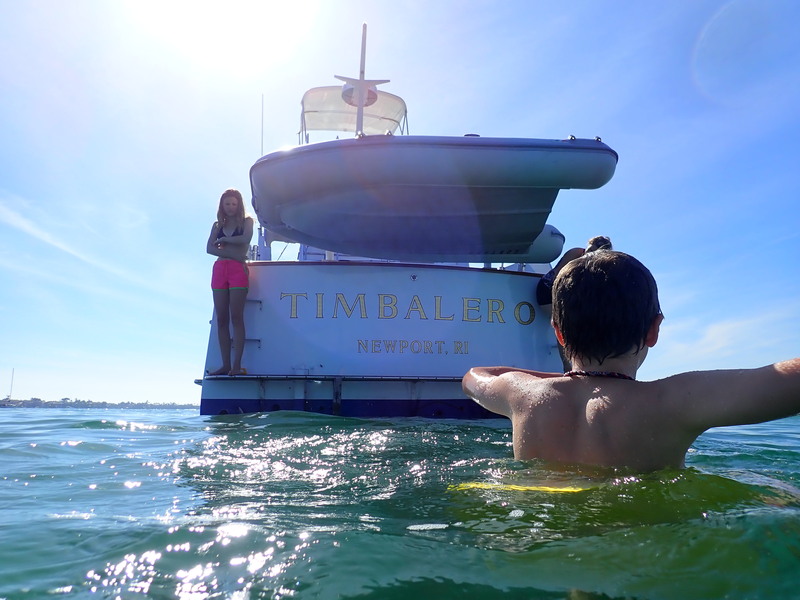 12.27 – 12.30 After Christmas, Timbalero was the finish line boat for the 2017 Orange Bowl International Opti Regatta. For four gorgeous days on Biscayne Bay we hosted a full race committee onboard of dedicated parents and professionals who set up and called the finish of every race. The Coral Reef Yacht Club was home to the Orange Bowl and kids were competing from Malta, Greece, Bermuda, Italy, Mexico, Brazil, NZ, among others… and of course many from the USA. 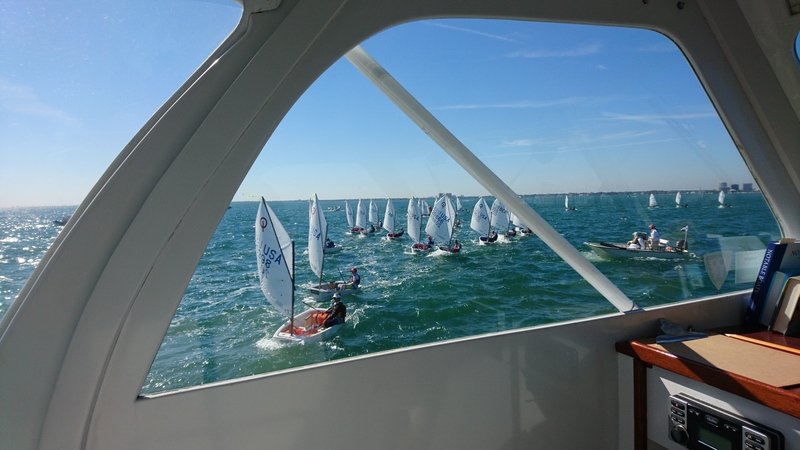 There were over 700 sailors in this junior regatta. We were pleased to help out and Timbalero shined in her role at the finish. 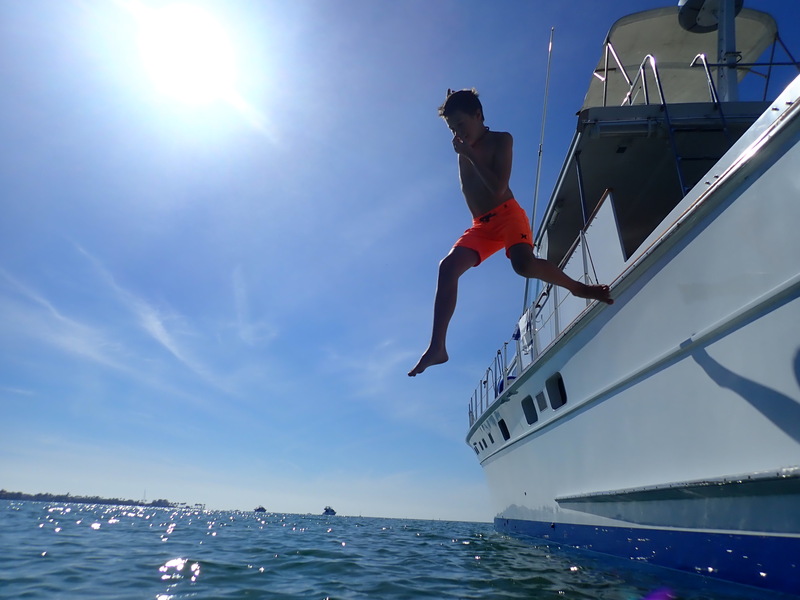 1.1 New Year’s Day began with our family’s annual “Polar Bear Plunge” in the ocean – signifying a fresh and clean start for the New Year. 2017 has been a great year for us and we are grateful for every minute, every watershed* moment. Thanks for following along our adventures; stay tuned for more in 2018! 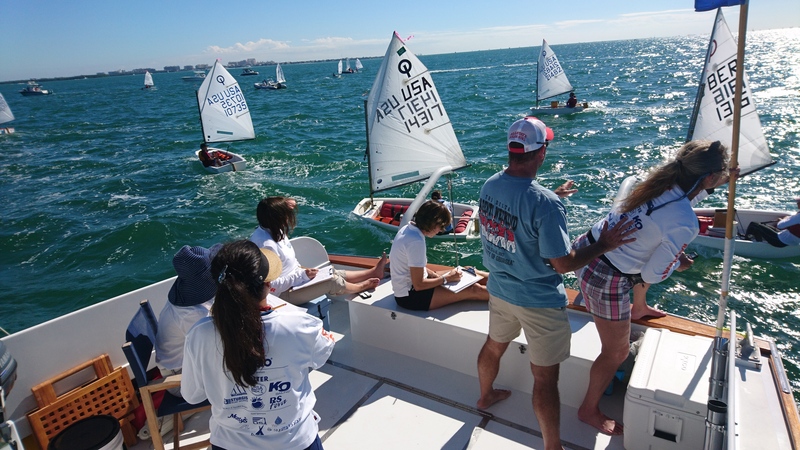 The Coral Reef Yacht Club and Orange Bowl Regatta are internationally renowned. We were impressed to learn that the CRYC supports “Sailors for the Sea” and is a certified “Clean Regatta.” Very cool, Coral Reef! See more here. Wynwood Walls is a colorful and creative outdoor art space in urban Miami featuring artists from all over the world. “Auld lang syne” (noun) old times, especially times fondly remembered. “Watershed” (noun) an important point of division or transition between two phases. “Instauration” (noun) renewal; restoration; renovation; repair. And a happy 2018 from our crew to yours! This is awesome. Thanks for sharing. It looks like Cortado is not so “short” anymore. 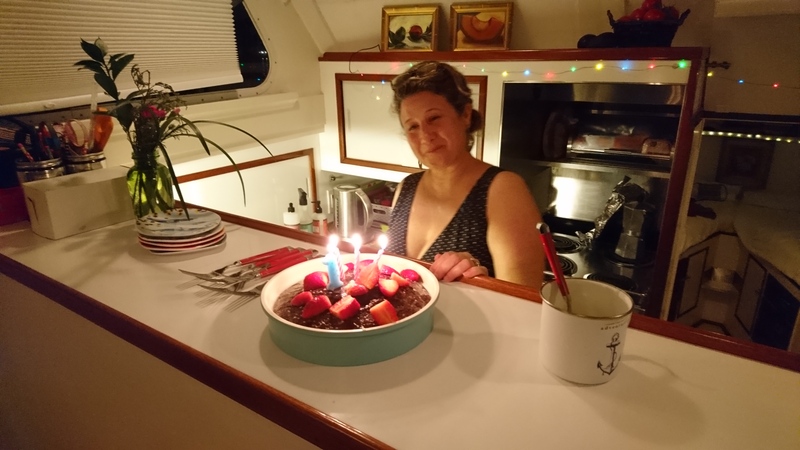 Your boat has grown….and it is beautiful. Love you!